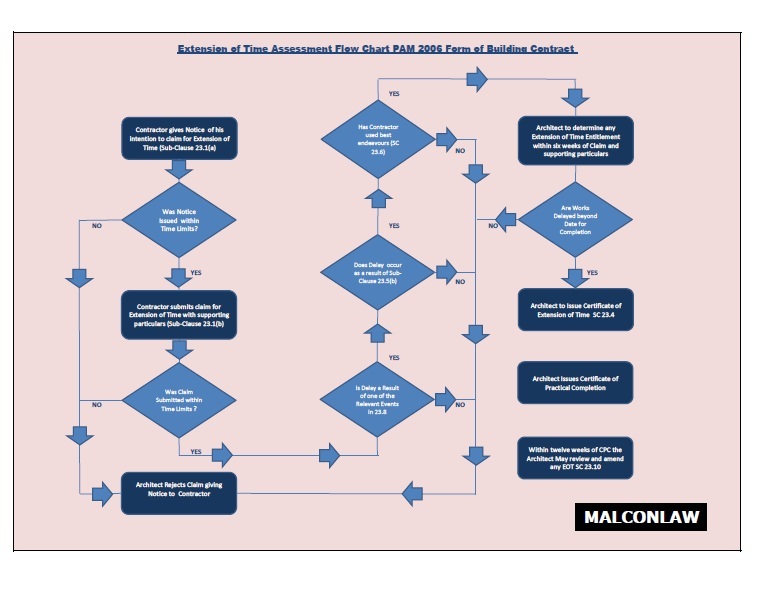 MALCONLAW as added a flowchart detailing the basic process in Extension of Time Applications and subsequent Determinations under the PAM 2006 Form of Building Contract. Please either search for the Flowchart using the search facility on the site or look under the PAM 2006 Contract Form from the main menu. This entry was posted in Posts, Site Update and tagged EOT, EOT Process, FLOWCHART, Malaysia, PAM 2006. Bookmark the permalink.